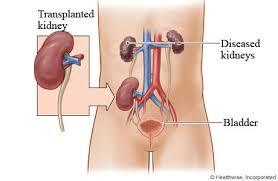 General objective of this term paper is to discuss on Kidney Transplant Surgery and Treatment. Here is focus on everything that you need to know about the treatment. Kidney transplantation is not a rare treatment nowadays and there are several hospitals all over the world that have all your facilities and qualified surgeons to do this procedure successfully. Kidney transplant can be defined as the transfer of a normal kidney from one person towards body of a person who has no or tiny kidney function.